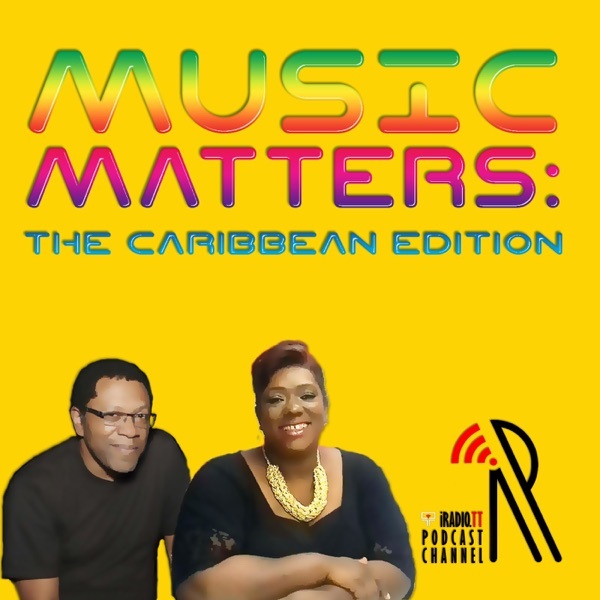 Laura and Nigel discuss this new generation's efforts at breaking indigenous music, soca and calypso, into the international marketplace beyond simple placement on digital platforms. They chat with artist/songwriter Jimmy October about his "New Calypso" and producer David 'Millbeatz' Millien about his "Caribbean Wave" as genres and new ways of defining Caribbean music for the world to acclaim. Laura and Nigel discuss the Bajan soca industry after the recent Crop Over on the island of Barbados. As a conclusion to the cycle of 2018 Caribbean Carnivals and the festival music, they have a better overview of soca in the Caribbean from the prevalence and popularity of competitions as a gauge, and the new sub-genre of bashment, to a wide-ranging interview with legendary Bajan soca star, Red Plastic Bag who talks about soca on the island and his opinions on what could make the breakthrough for soca globally. We await the 2019 soca season. Laura and Nigel sit down with Muhammad Muwakil and Lou Lyons of FREETOWN Collective to discuss their new album, Born In Darkness, and to chat about that album in the context of the modern music industry. As a bellwether of new full length album production in T&T, Muhammad and Lou explain how this project interacts with the current music ecosystem and how they have positioned themselves to buffer from any movements, positive or negative, in the global distribution, publishing and live music industry. Laura and Nigel discuss the state of the live music industry in Trinidad and Tobago in the context of the government's plan to create a Live Music District in Port of Spain to act as a tourism magnet for visitors to the island. The experience and results of the State's efforts are gauged, together with a Jamaican perspective on the softened live music industry there, to come to a fuller understanding of what are the roles of the private sector and the State sector in developing the industry. Laura and Nigel chat about the reality of the slightly behind-the-curve business models and thinking about broadcast media, and its role in distributing music and creating economic rights for artists, composers, producers and performers in the Caribbean. Laura's recent trip to Jamaica to cover its Carnival showcased how the modern music "merchants," the soca artists of today are distributing their music, and how the Carnival circuit is expanding for year-round exploitation of potential royalties from public performance and from radio airplay. A professional in the areas of media, music and entertainment with experience at international levels, Josanne Leonard served as policy adviser on the Caribbean music industry to various global and regional bodies. She talks with Laura and Nigel on the music industry in Trinidad and Tobago with links to the wider Caribbean music industry and preferred strategies going forward in light of the ongoing state-dominated industry thrust toward its further development. The Globalisation of Soca is a podcast where hosts Laura Dowrich-Phillips and Nigel A. Campbell continue the discussion on the relative global spread of this music born in Trinidad. The wider international thrust by singers, DJs and producers from America, Europe and Africa to put the music on the same public consciousness as reggae and dancehall, for example, is considered. SOCA: A Caribbean Phenomenon is a podcast where hosts Laura Dowrich-Phillips and Nigel A. Campbell discuss the spread of soca music from its base in Trinidad and Tobago to encompass rhythms and musical cues from other islands in the Caribbean. Producers, singers and fans from all the islands make this music more than Trinidad Carnival music.